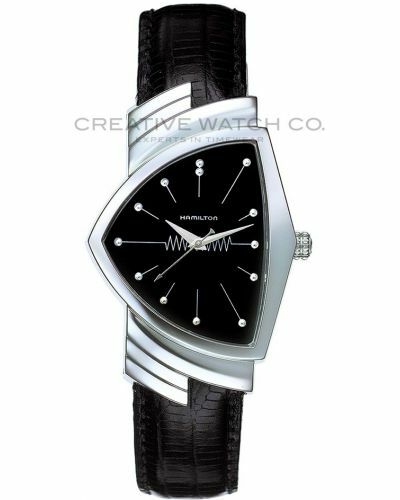 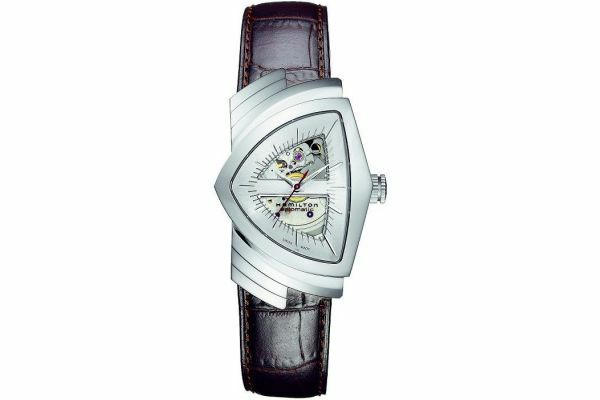 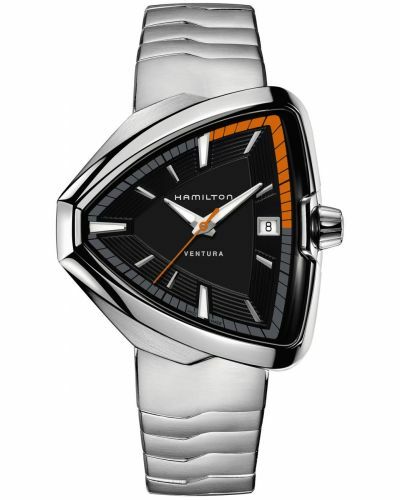 The design of this classic Ventura watch mirrors the original 1950's model. 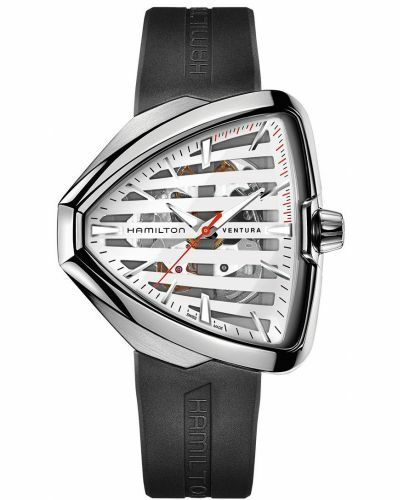 The skeletal design of the dial allows the Swiss automatic movement to be viewed through the front of the dial. 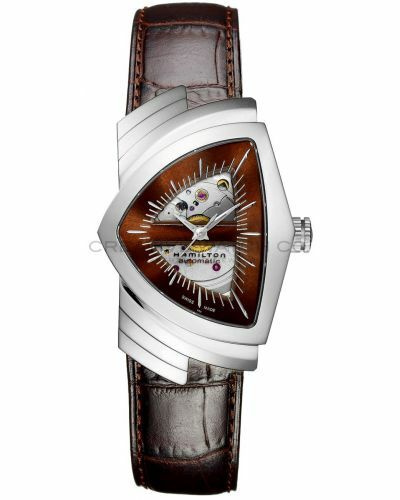 The movement works through both self winding and the movement of the wrist and can also be seen through the sapphire crystal glass on the reverse of the dial. 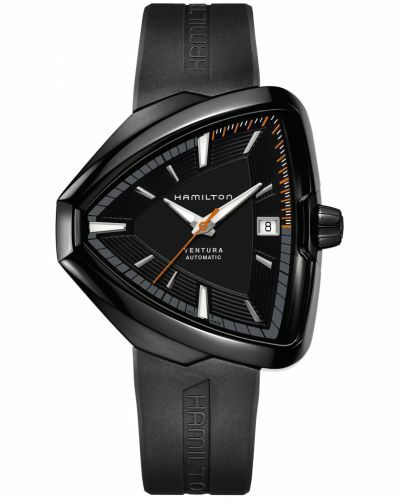 Hamilton American Classic Ventura H24515551.